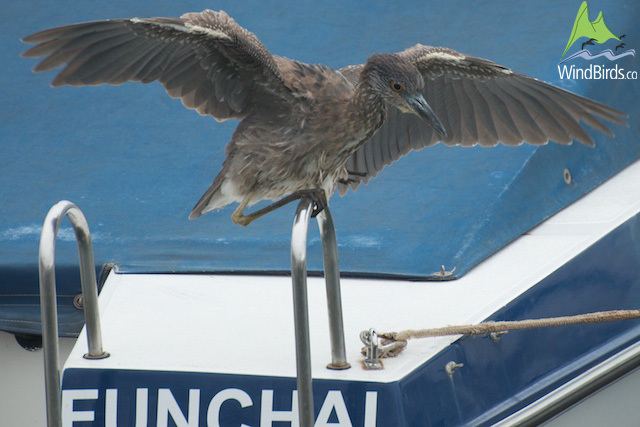 It seems that this Heron has been around Funchal marina since the beginning of February 2011 at least, though the people who observed were curious but not real birdwatchers... Thanks to Fernando Silva, who, on the 24th of March, told us about an uncommon heron roosting at his boat and then sent us a picture of it, taken on the 17th February 2011, we were able to identify and to confirm its identification with some other birdwatchers: a Yellow-crowned Night Heron Nyctanassa violacea. Madeira Wind Birds' boat "Oceanodroma" is not based at Funchal marina so this is a placed not often visited by us (Catarina & Hugo), though when we knew about this bird we spent hours during 2 days looking for the bird in the marina and surroundings without any success. Only on the third day of search, the 27th March 2011 we finally saw it and were able to take photos and film it! What a beautiful bird! It was well observed by Hugo Romano, Catarina Correia-Fagundes, Frank Zino and Manuel Biscoito. Update: Following Dominic Mitchell (in litt.) 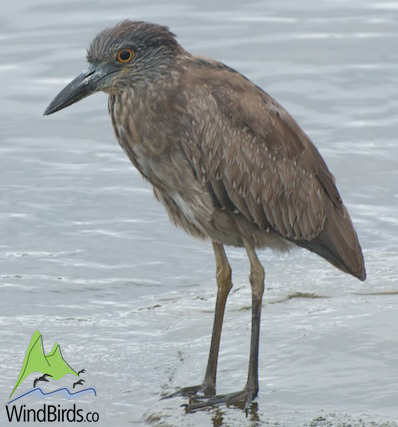 information, the title of this article has been updated from "Yellow-crowned Night Heron - 1st for Madeira, 2nd for Western Palearctic" to "Yellow-crowned Night Heron - 1st for Madeira, 3rd for Western Palearctic"